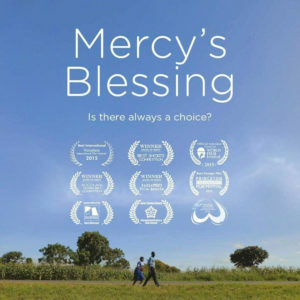 Mercy’s Blessing, written and directed by Baha’i independent filmmaker May Taherzadeh, is a moving and profound exploration of the connection between love and sacrifice in the midst of social injustice. It has received widespread acclaim and has already won ten international film awards. The film is centered on the story of two siblings. The older, named Blessings, wants to raise his younger sister, Mercy, and himself out of poverty through education. As obstacles mount for the family, Blessings becomes increasingly conscious of the injustices around him and the power of choice. Over 100 initiatives in more than 115 countries world-wide are using “Mercy’s Blessing” as a tool in advancing the discourses about the equality of women and men, human rights, social justice and world citizenship. “The idea was to show a person in a dire situation making a selfless sacrifice. This ability to sacrifice, to be generous and think of the well-being of another, is a reflection of the strength of the human spirit.” Ms. Taherzadeh said. Education holds an important place in the new order of things. The education of each child is compulsory. If there is not money enough in a family to educate both the girl and the boy the money must be dedicated to the girl’s education, for she is the potential mother. If there are no parents the community must educate the child. In addition to this widespread education each child must be taught a profession, art, or trade, so that every member of the community will be enabled to earn his own livelihood. Work done in the spirit of service is the highest form of worship. – Abdu’l-Baha, Divine Philosophy, p. 83. You can watch the film’s trailer here. More information about screenings in Pasadena will be available soon – please check back!